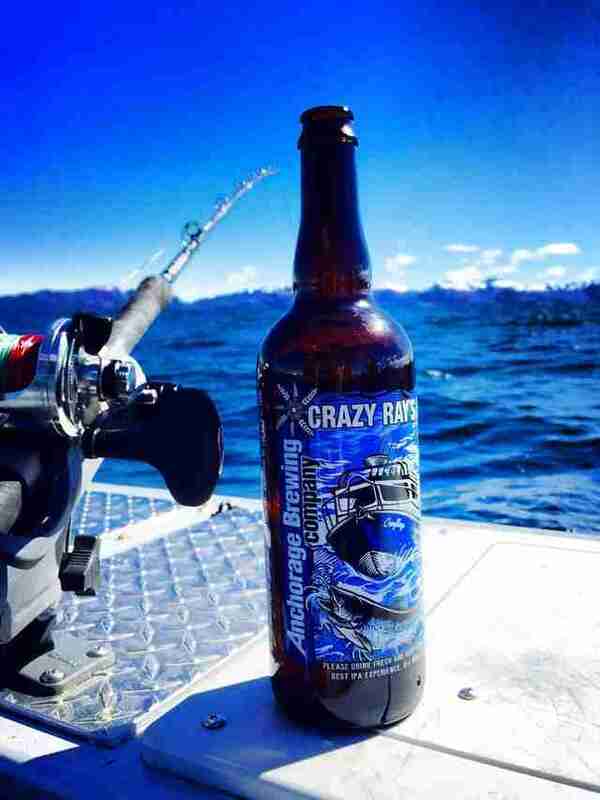 Anyone who's been to Alaska understandably comes back gushing about its pristine natural beauty, but if you actually spend time crossing the state from city to city, you'll begin to see that there's so much more going on than some of the planet's best scenery, including one of America's most promising and underrated beer scenes. We headed due north to find the best breweries in the Last Frontier, hopping between cities on seaplanes and fast ferries (and with a few reindeer hot dogs as mid-trip sustenance) to find the essential brews you can't get without actually visiting the state. 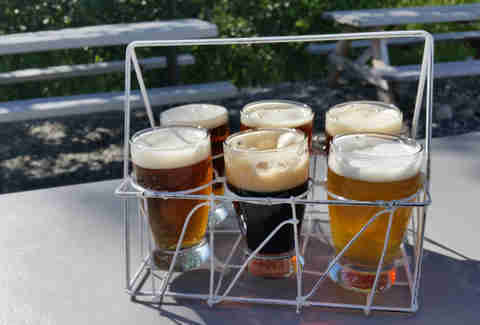 So check your expectations, grab your bear repellant, and get ready for some of the best breweries in the untapped beer paradise that is Alaska. There's always something special about a husband and wife who can come together to make beautiful things happen. In the case of Arkose, it's fantastic beer. Married co-owners Stephen and June Geteisen work together to develop recipes that are often inspired by great jazz songs, whether it's the No. 5 Boxcar porter, the juicy Palmer extra pale ale, or the smooth Bitter Earth ESB. If you're in town and looking to check them out, their paint and pints nights are a nice draw (and the sweeping mountain views from their back patio don't hurt, either). 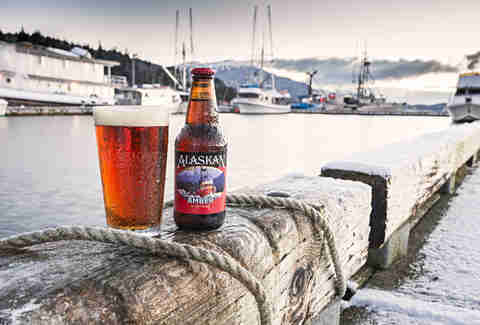 Courtesy of Alaskan Brewing Co. It might not shock you that Alaska's biggest brewery is also one of its longest running (it was the first brewery to open its doors in the state since Prohibition back in 1986). In what is good news for many of us, you may not have to travel to find iconic hits like Alaskan Amber (they’re available in more than a dozen states in the Lower 48), but making your way to Juneau and swinging through the taproom will open your eyes up to some of its harder-to-find hits like the Smoked Porter or batches from its pilot series like Raspberry Wheat or SMaSH Galaxy double IPA. If you've ever heard one of your bottle-trading beer-geek friends gushing about something they scored from Alaska, there's a very good chance it came from Anchorage Brewing Co. Its reputation precedes it as one of the best breweries in the game on a national level, let alone in Alaska, drawing in collaborations from the likes of New Belgium and the legendary Hill Farmstead. Hitting up the taproom is a must for anyone swinging through Anchorage (it's a very short drive from Downtown), where you can sip the likes of Crazy Ray's IPA, Darkest Hour imperial stout, or Anadromous, a black sour ale aged in whiskey and pinot noir barrels. We promise this is all even better than it sounds. 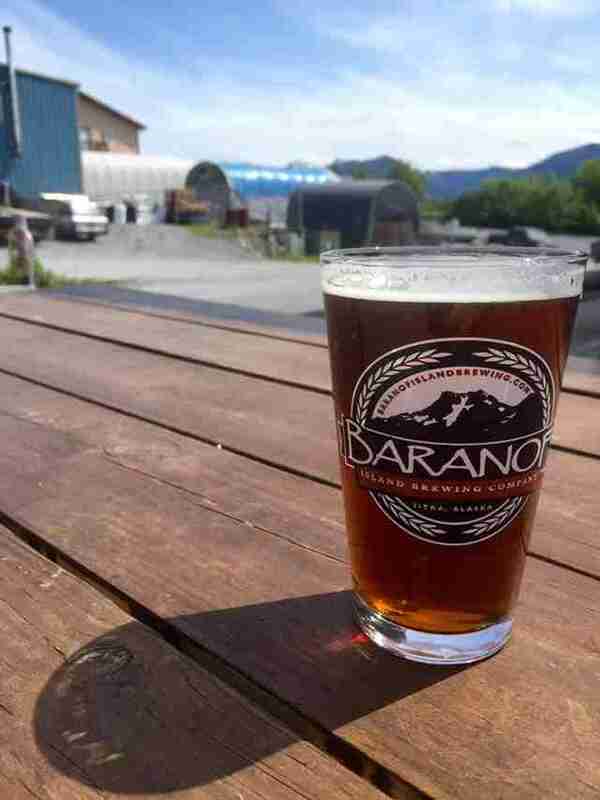 The former Russian capital of Alaska (where the sale and hand-off officially took place) can also brag about being home to Baranof Island Brewing Co. (named for the island on which Sitka's located), which has won a devoted following since opening in 2010. How devoted? Each year, locals go out and harvest spruce tips by hand to help make its fresh seasonal batch of Sitka Spruce Tip Ale each spring (with the chance to win a free keg if they bring in the most). You'll find a beer you love no matter what time of year it is, though, whether it's the Vanilla Stout, Halibut Point hefeweizen, or Peril Strait pale ale. 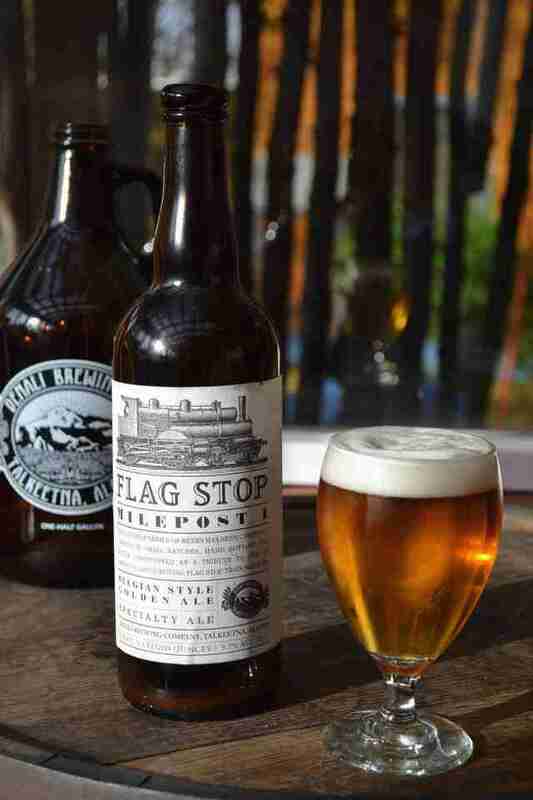 Anyone heading north to catch a glimpse of the tallest mountain in North America owes it to themselves to stop by the brewery that's named after it. And not just because it's convenient: it happens to be pretty damn good at the whole beer-making thing. You might be able to find its Twister Creek IPA in bars around the state, but stopping by the brewery means you'll get to try beers like the Agave Gold or oak barrel-aged Louisville Sour, which are off-the-charts good. The bonus is that even though it's recently expanded and moved into bigger digs, visiting still puts you in easy range to check out the cozy-cool town of Talkeetna (where they have a famous cat mayor). If you asked locals, the beer and vibe at Haines Brewing Co. has only gotten better after its recent move from its original location (which appeared in the movie White Fang). The number of available beers has swelled thanks to the equipment improvements and space upgrades: when you're perusing the tap menu, don't miss the Black Fang imperial stout or Captain Cook's Spruce Tip Ale. If you're there during the warmer months, it might be impossible to top the experience of taking in those beers surrounded by mountain views on the back patio. There's so much that can be said about Midnight Sun Brewing -- from the hilarious background stories behind the names of top-selling brews, to the super-friendly staff in the taproom, to the wall-mounted salmon that dispenses draft beer -- that it's easy to lose sight of the fact that the beers it makes are so damn good. Everything from top-notch barleywines and puckering sours (like Buzzwinkle) to bold stouts and well-balanced IPAs (like Pleasure Town) find their way into the bottles and kegs here, easily making it one of the state's top beer destinations since it opened two decades ago. Of course, travelers are rewarded with bottles that are only sold at the brewery, so consider packing those bags if you want to really get to know these guys… and make use of that wall-mounted beer salmon. Walking into the lively tap room at Odd Man Rush is usually the first sign that the beer here is something the locals can really get behind. 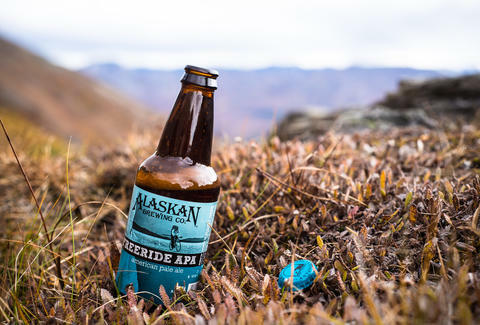 Once you make your way through the crowd and start looking over the beer list, it becomes pretty clear that things here are on more adventurous side for Alaskan brewing. There are plenty of standouts, but if you get the chance, consider ordering El Guapo "Hot Blonde" (made with 80lbs of Anaheim, jalapeño, and habanero chile peppers per batch) and More Cowbell chocolate milk stout. 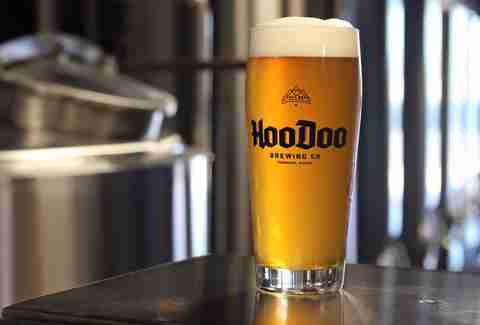 In an industry where it's more common to find brewers who ditched desk jobs than it is to find a dyed-in-the-wool, globally educated beer-maker, HooDoo stands out. 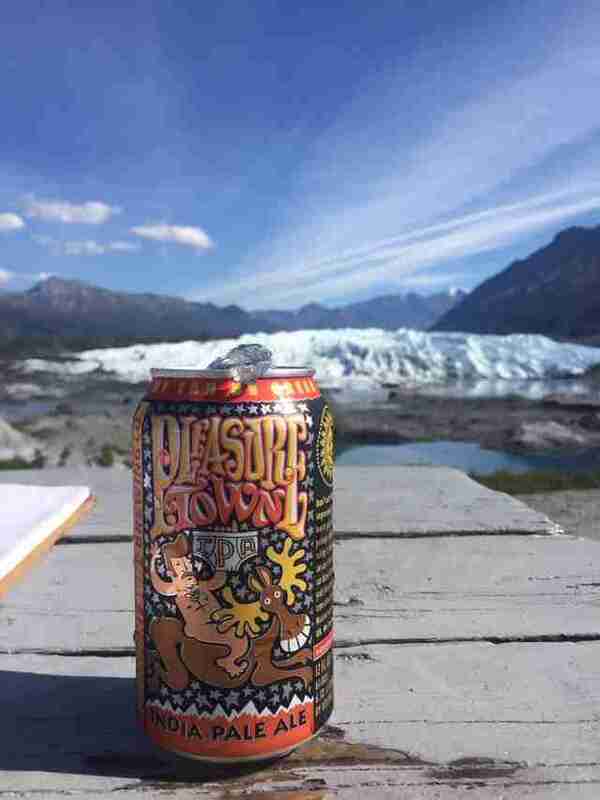 Brewmaster and owner Bobby Wilken was born and raised in Fairbanks before picking up brewing education in Chicago and Germany, before cutting his professional teeth at Alaskan Brewing in Juneau. He struck out on his own in 2011, opening a brewery in his hometown where his wide experience shows in his unfussy yet well-rounded offerings like the Maibock Lager, Scottish Export, and HooDoo Stout. If delicious beer isn't enough, try to visit on a Caturday, where the brewery hosts an adoption drive for local shelters. 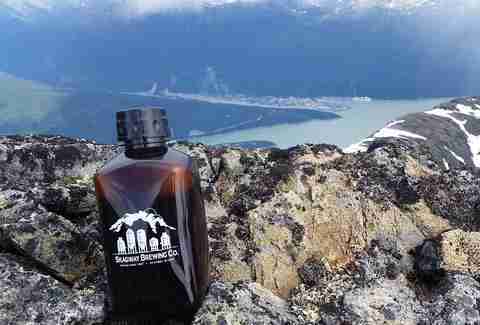 If you've made the decision to hop on a ferry (or tiny plane) and make your way to Skagway, there's a very good chance you're going to be thirsty when you get there. And if you can hold off on touring some haunted brothels or hiking to Yakutania Point when you arrive, your first stop should probably be the town's namesake brewpub. A recent expansion of brewing capacity is adding to its list of hit beers, but if you only get to try one, make sure to get yourself a pint of the Spruce Tip Ale: it uses locally harvested spruce tips to make a fresh, citrusy pale ale that basically put the brewery on the map. Also, Alaskans really love their spruce tips! The owners of Seward Brewing Co. open up their doors in early May to pump out a new beer every month through the summer before slowing down for the winter to take a trip somewhere warm. This doesn't meant they're not getting stuff done: it just gives them the perfect excuse to brew slower-production beers (think lagers and barrel-aged varieties). If you're there in season, make it a point to swing by and try their Pinbone IPA, which is so tropical and citrusy you would swear it was from Hawaii, or their Inked Out Stout, which the brewers themselves describe as "a mosh pit of chocolate, coffee and delta blues." You won't regret it. Zach Mack is Thrillist's contributing beer writer, the owner of Alphabet City Beer Co. in NYC, a newly minted Certified Cicerone, and nothing else. Follow him: @zmack.